Twitter has launched a child-friendly version of its video sharing app, Vine, letting them watch pre- approved videos through a new interface. 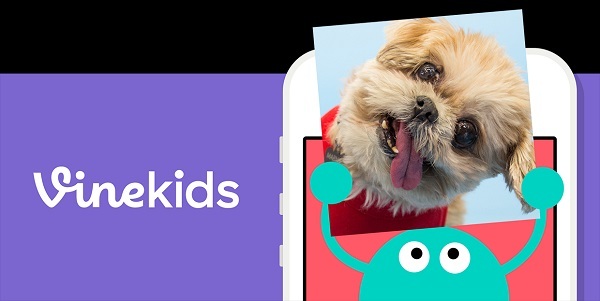 Vine Kids has launched initially for Apple’s iPhone, and will offer a feed of “hand-selected” six-second looping videos from Vine’s community. Rather than the news feed that is used on the adult version of the app, children are guided through videos by animated characters, who instruct them to swipe left or right to see new Vines. The idea for the app came from a Vine employee, Andre Sala, who said that he would like a way to allow his children to use the service. That was during the company’s Hack Week, said Penner, which allows employees to work on new projects — and two members of the team created the app then. The app is available to download for iOS from the App Store. Vine was launched just over a year ago. The Twitter-owned service has since created its own celebrities and its videos see hundreds of billions of plays per year. In August 2014, Vine said that its videos were watched by more than 100 million people a month across its app and the web, while those videos racked up 347.2bn “loops” – individual plays – in the last nine months of 2014 alone. Vine Kids’ launch comes at a time of growing debate about children’s use of smartphones and tablets, however. A new study by researchers at Boston University School of Medicine has raised new questions about whether very young children’s screen habits could harm their social-emotional development, as well as other skills.